Yana: In a few sentences tell me about yourself, the company and what it does. You are a co-founder, right? Natalya: We moved here about 3 years ago. First we had another startup. We made a sales unit for fashion clothes from stores like Macy’s, North Strong, Last Call, etc. Then we decided to promote it and came up with promoting it via YouTube, finding the influencers. We asked them if our platform was interesting to them, maybe they would like to do a review. In exchange, we offered them free use of the platform. We received a lot of replies from influencers, who agreed to review our platform. It happened that we told this story to our friends, and they all wanted to do the same for themselves. They wanted us to find influencers that would help them promote their products and do reviews on YouTube. We immediately began to earn money and so decided to focus on this as a business. Do more promotion, do that kind of marketing. 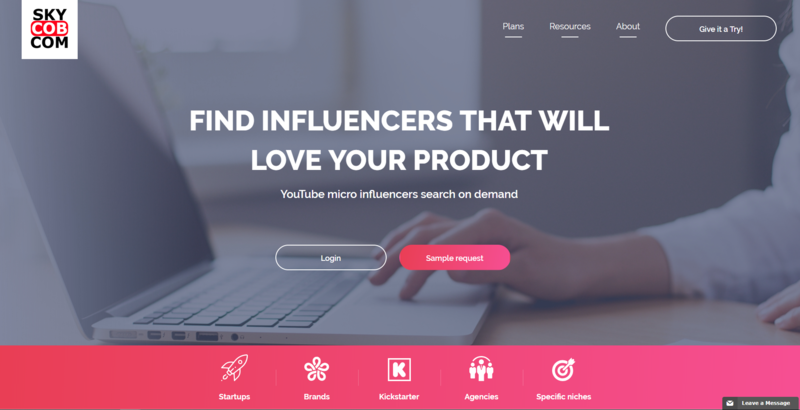 Yana: Are you attracting influencers to projects? Natalya: Yes, we help companies find influencers who will review their product in return for success fee. We are not looking for large, powerful influencers, who do it for money, but for smaller ones, who will earn a commission on future sales. 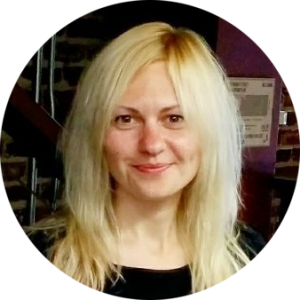 Yana: Is your business scalable? Natalya: Presently we do a lot of work manually, but are in the process of automating this work. If we can automate it, then we can scale it. Because right now the more customers, the more people we have to hire. Now we need to use several third-party services, for example, an affiliate system, various tables, analytics, many separate ones. We want to make something of our own. We want a client to be able to take this product and communicate with influencers on their own and send goods to influencers automatically. Then we would not need client managers engaged in it. Yana: Cool. How many people do you have in the state? Natalya: Our staff is constantly growing. Currently, around 12 people. The managers work mostly from Ukraine, because they speak English and are less expensive. Yana: Have you seen many changes in the Valley’s business climate over the last three years? More specifically, what has changed in terms of startup companies? Natalya: Over the past three years, I have not seen any jumps. Compared to 2012, when we got here for the first time, growth was evident, new coworking spaces opened, events were held, many, many things happened. Now it has somehow stabilized and calmed down. For example, we do not go to events much now, because we have a company, we have a lot of work to do and we just have no time to do it. A lot of startups already went to events, raised money and now are just working. Everything calmed down. Of course, there are still a lot of new startups, a lot of new people, everyone is doing something, a lot of ideas, but there’s no such boom as there was about six years ago. Yana: What do you know about the offshore development in the Valley? I know there is a major competition between Russian, Chinese, Indian and South American companies. Which is more trusted? Natalya: Trust the one who lives here. No matter where they come from, India or China. Here it is very important for people to see a person constantly. You go meetups, talks, they see you constantly, they understand that you are competent, that you can be trusted, that you will not leave tomorrow with their money. And I know that a lot of guys from Russia moved here. Sales are here, and developers are in Russia. Same with India and China. In LinkedIn every day I get 20 outsourcers contacting me. Such an unreal competition. They offer anything, even pilots for free. As for me, without seeing a person, without talking to him, I think I would not be able to order. Yana: Yes, you need to live here to sell. Here, investors work on the same principle. A startup must be in a zone of 50 miles, otherwise they will not invest. Natalya: To them all personal contact is very important. Yana: Nick, our CEO, often travels here. Although I do find cold contacts that convert to sales, but certainly not in volume. Natalya: You need to come more often. I have a friend who also sells outsourcing here. First he traveled, now he has moved, because he understood it was necessary. Yana: And what does he do? Does he meet here? Natalya: Yes, he is in contact with clients all the time. And I know that he walked a lot in every event. And he just flashes among the people. He gets acquainted, gets acquainted, gets acquainted. That is, at least half of the year it took him. Such constant contact, communication. Yana: Yes, I talked about this with Alex. They have a different mentality here. You need to meet several times and only then talk about sales. Natalya: Yes, you need to show your skills, personal qualities. Because they do not look just at the price here, they will not believe about the quality. Yana: What do you think about the talent shortage. Is there such a thing now? I know it did exist. Natalya: Did Alex tell you that now the biggest number of vacancies since 1969? Mostly in engineering. Guys who are developers, they literally can find a job within one week. There is such a shortage. Natalya: I know that developers are needed and sales. Make and sell. Yana: Where are your Russian developers? Natalya: Here and in Russia, Ukraine. Also outsourcers.